Its popularity revolves around one keynote fact why film production companies like coming to South Pasadena. According to Aguado, they can count on South Pasadena’s “anywhere U.S.A.,” look while taking advantage of “our architectural integrity and our small-town feeling,” she explained at a recent Chamber of Commerce Shoptalk breakfast where she discussed her role in the city to a group of local business owners and managers. Aguado explained that location scouts often discover ideal film locations for shoots through any number of means. “They could scout, meaning, they drive around and find locations themselves,” she said. 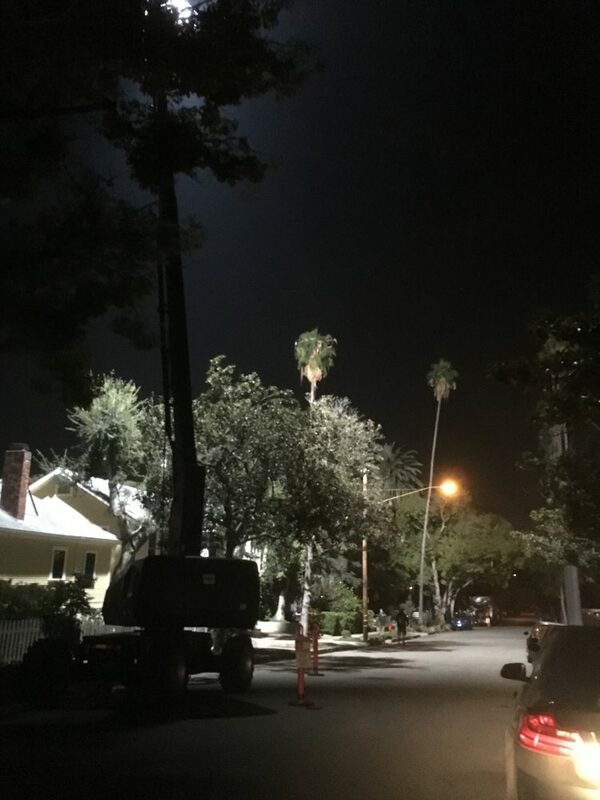 “They call the city for ideas based on the specifics of their request, or they call location services who act as agents for some properties.” Production companies must go through a strict permit process at South Pasadena City Hall once finding their location site. Who needs a permit to film? “Figure everyone,” insisted Aguado. She likes to point to the upsides of productions coming to South Pasadena neighborhoods, saying that residents stand to benefit financially from the use of their properties. Bragging rights, pride of community and film crews contributing to the local economy by eating at South Pasadena eateries and purchasing products at nearby stores also come into play. 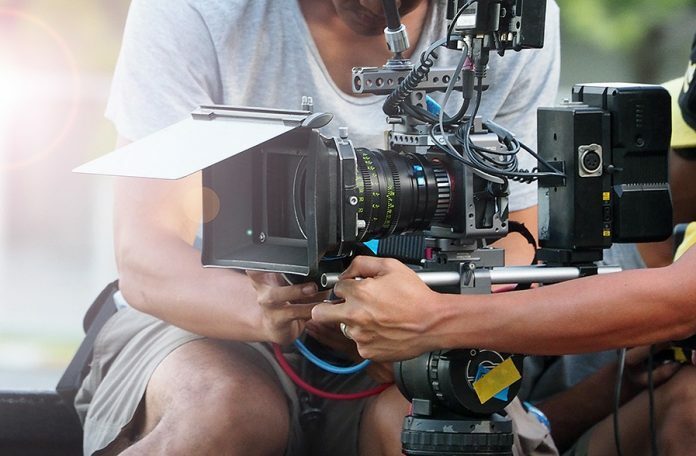 Among the most recent notable productions shot in the city included a Groupon and Nike commercial, a public service commercial for the Leukemia & Lymphoma Society and one that captured a worldwide audience. Scenes from “Lady Bird,” a 2017 American comedy-drama film, written and directed by Greta Gerwig, were filmed in the city, making use of South Pasadena High School and Kaldi Coffee and Tea in the 1000 block of El Centro Street. In fact, the majority of the high school scenes were shot in and around SPHS’ auditorium, dance room and theatre. 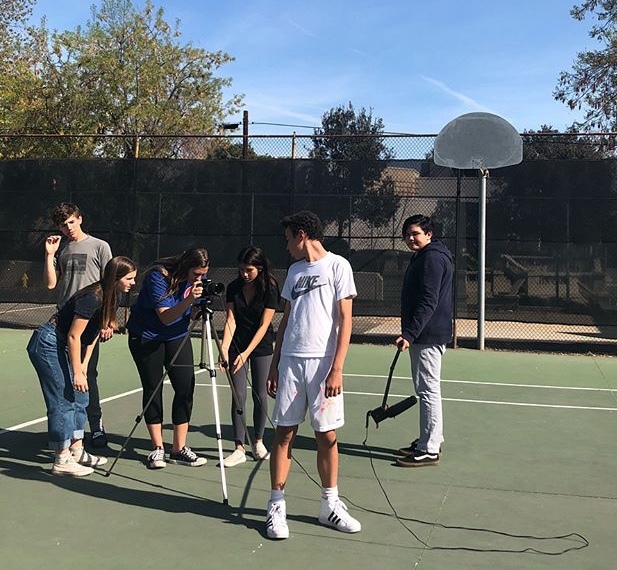 The drama department received some of the funds for being displaced and they purchased a camera that they have named the “Lady Bird”. The film earned five nominations at the 90th Academy Awards and won Best Picture at the 75th Golden Globe Awards. As part of her job, Aguado maintains a location library and list of film-friendly locations. “People call me when there is a wedding or event coming up on their block to make sure we do not schedule any filming during those times. This is incredibly helpful,” she said. Aguado has now been on the job in South Pasadena for 17 years, moving away from a film production and script development career when she worked for several studios. She took some time off from the profession to raise two sons and approached the city officials with the idea of managing film shoots when she decided to return to the workforce. And here she is, still going strong. “I love it,” she said, beaming a bright smile.